A new report that was co-organized by the Institute for Immigration, Globalization, and Education at UCLA offers a conceptual lens and actionable steps for organizations, institutions, and states to improve data practices and more accurately capture and represent the nation’s racial and ethnic diversity. Professor of Education Robert T. Teranishi, who co-directs IGE, and IGE researchers Cynthia M. Alcantar, Edward R. Curammeng, Edwin Hernandez, Victoria Kim, Bach Mai Dolly Nguyen, Mike Hoa Nguyen, and Audrey D. Paredes, participated in The Racial Heterogeneity Project, which is made up of leading educational researchers and supported by the ACT Center for Equity in Learning. 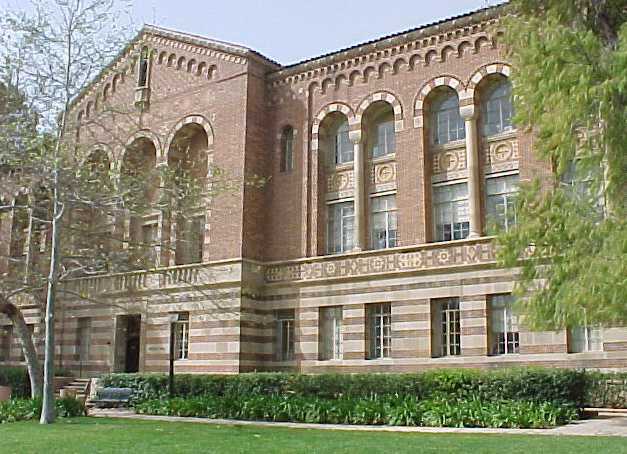 A report issued from the Institute for Immigration, Globalization, and Education at UCLA and the ACT Center for Equity in Learning highlights the nation’s racial and ethnic diversity and provides ways for data-collecting agencies to improve their methods. The report, titled “The Racial Heterogeneity Project: Implications for Educational Research, Practice, and Policy,” examines racial inequity in education and offers recommendations based on research about structural barriers that need to be overcome in order to improve educational outcomes for racial groups. The 2015 iCount Symposium with the White House Initiative on Asian Americans and Pacific Islanders (WHIAAPI) in Washington D.C., Sept. 14-15, co-hosted byUCLA’s Institute for Immigration, Globalization & Education (IGE) and the National Commission on Asian American and Pacific Islander Research in Education (CARE). More than 100 participants including students, deans and presidents of colleges, institutional researchers, congressional staffers, and representatives from foundations and advocacy organizations from across the nation and U.S. territories to address the need for educational equity through the collection and utilization of better data. Today marks the start of the iCount: Equity through Representation symposium, a convening of over 100 representatives from educational institutions and philanthropic and community organizations to bring attention to the need for data disaggregation to better represent and support the unique academic needs of a diverse Asian American and Pacific Islander (AAPI) student population in education. 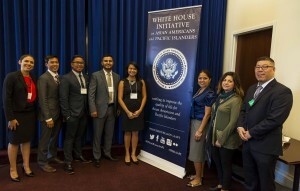 This event, hosted by the White House Initiative on Asian American and Pacific Islanders in partnership with CARE, builds upon an inaugural 2013 symposium that highlighted the critical need for data disaggregation for AAPI students and provided the opportunity to share best practices for implementing systems at educational institutions. This second iCount convening will explore the progress made since the first symposium as well as opportunities for regional and local collaboration. FRESNO, Calif. – Like many students, Trong Chang has dreamed of going away to graduate school after she gets her bachelor’s degree. But Hmong women just don’t do that. Chang, a 22-year-old psychology student at California State University Fresno who grew up in this Central Valley city, chose to study close to home, and she’ll probably remain on campus for her master’s degree. But for someone from an ethnic group that contradicts the Asian-American “model minority” myth, even this is a rare achievement. Asians have been slower to sign up fro President Barack Obama’s reprieve for young immigrants in the country illegally, and community advocates are ramping up efforts to reach thousands more who are eligible for his expanded immigration plan. Last week, the U.S. Supreme Court rejected a challenge to a voter-approved Michigan law that bans affirmative action in the college admissions process. On a 6-2 vote in Schuette v. BAMN, the Supreme Court reversed the opinion of the Sixth Circuit Court that struck down the law. Full Circle Project is the first program at Sacramento State to serve underrepresented Asian-American and Pacific Islander students. 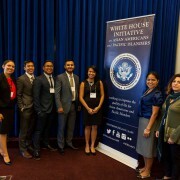 A recent report published by the National Commission on Asian American and Pacific Islander Research in Education (CARE) and the Asian and Pacific Islander American Scholarship Fund (APIASF) on three Asian American Native American Pacific Islander Serving Institutions (AANAPISIs) marks a seminal shift in our understanding of Minority Serving Institutions (MSIs).